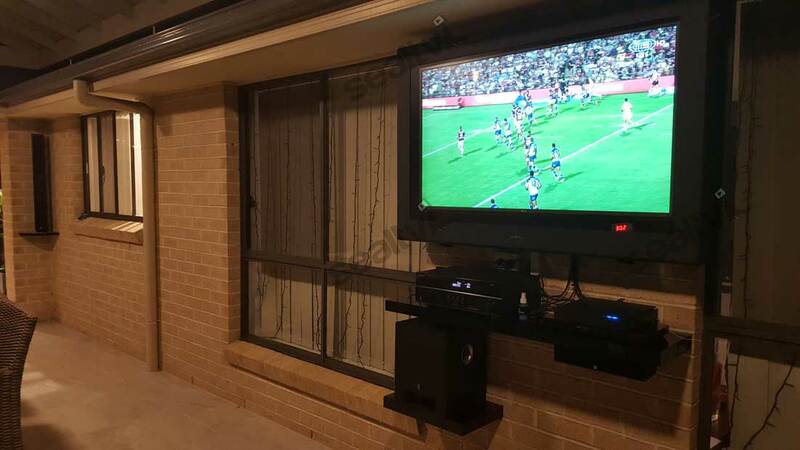 Mark’s sent in some photos of his outdoor entertaining area with his new 50 inch enclosure protecting his TV. Mark has sent in some photos of his TV and enclosure installed. Take a look. Thanks for the photos and feedback Mark. 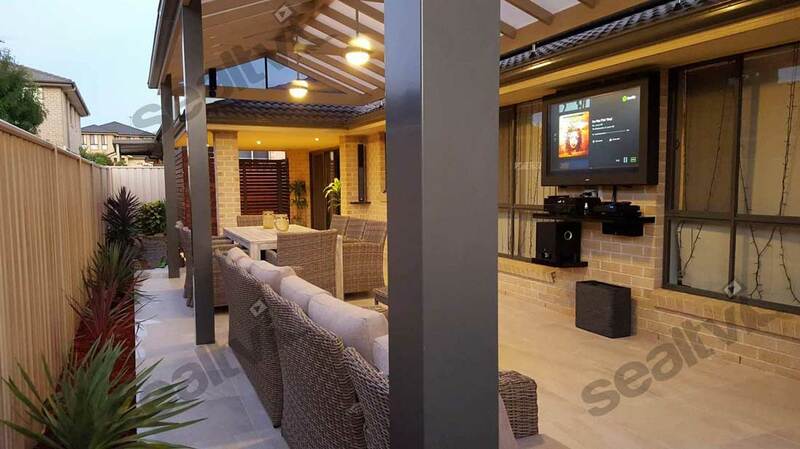 Your outdoor area and TV setup looks amazing! To find out more about our TV enclosures, or would like a setup just like Marks make sure to drop us a line on 1300 938 887! I have nothing but positive comments for this unit. The set up/installation is very straight forward and almost self explanatory. I found I only glanced at the manual occasionally just for confirmation. The manual is great by the way, anyone would be capable of installing a seal TV unit. Very clear instructions right the way through. I also have to applaud the build quality. Very solid structure and very well designed. The cooling fans work as specified and even on a hot day, the operating temperature inside the enclosure remains within specifications. And the viewing panel is great! It’s almost as if it isn’t there and I am looking directly at the TV screen. 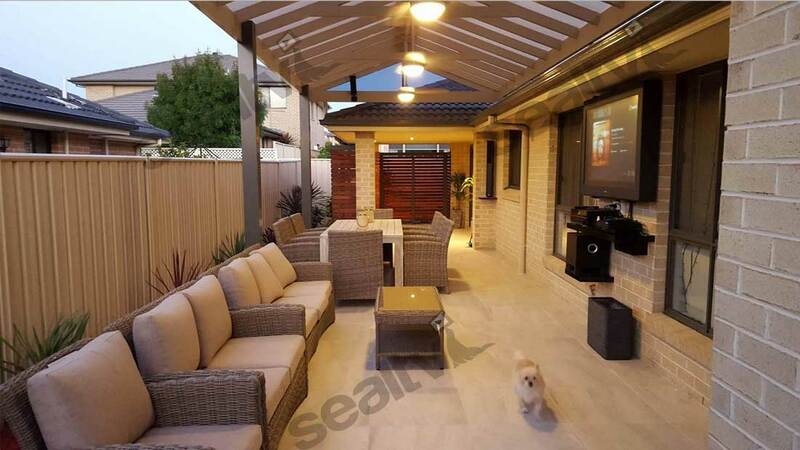 Mark’s outdoor entertaining area looks fantastic. Thanks again for the great product! I’m sure it will get many years of great use. This entry was posted	on Sunday, July 31st, 2016 at 9:09 pm	and is filed under Blog. You can follow any responses to this entry through the RSS 2.0 feed. Both comments and pings are currently closed.